I have been thinking quite a bit since HostingCon about Cloud Computing. One panelist, Emil Sayegh, General Manager at Mosso - the Rackspace Cloud Division - really stoked controversy when he proclaimed that: ”Shared hosting will be obsoleted by the Cloud”. Since I know tons of hosting professionals who have made considerable sums from shared hosting, I wondered how this migration from shared to the Cloud would occur. In order to conceptualize the transition from shared to the Cloud, I decided to look over a few Cloud offerings and consider the advantages of the Cloud over a traditional shared hosting offering. First off, let’s settle on the definition of Cloud computing as offered by Mr. Sayegh at HostingCon: ”A set of pooled computing resources done offsite using software”. Also based on the HostingCon discussions I gathered that two of the big advantages of Cloud computing are ‘instant on-off’ and ’scalability’. So how exactly do these products currently stack up against each other? Here’s a quick comparison. I used a few popular services for this evaluation. 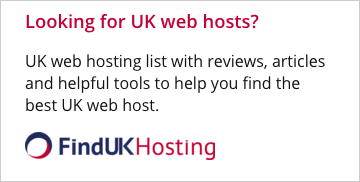 UK website hosting company 34SP.com, and Host Gator for shared, and the Rackspace Cloud and Slicehost - both owned by Rackspace for the Cloud and VPS hosting components. According to information provided via live chat and on the website, the entry level Cloud offering is priced at $10.95 per month. The specifications on the plan are: 256 MB of RAM, and 10 GB storage. Bandwidth is an additional cost of either 8 cents/GB for all incoming or 22 cents/GB for all outgoing. In order to compare, I assumed 100 GB bandwidth usage - all of it incoming. This adds $8.00 per month to the cost. So the Cloud comes in at $18.95 per month entry level. VPS hosting comes in as follows. The entry level plan is $20 per month. The specifications are: 256MB of RAM, 10 GB of storage, and 100 GB bandwidth included in the price. So this is roughly equivalent to the Cloud offering. The differences are in included bandwidth versus pay as you go bandwidth. Which brings us to the shared hosting offerings. One popular offering is Host Gator’s $7.95 plan. The specifications are: unlimited storage and unlimited bandwidth for $7.95 per month. Now, of course we all know that there is really no such thing as truly unlimited shared hosting. So I used a finite offering from 34SP.com to offer an apples to apples comparison. 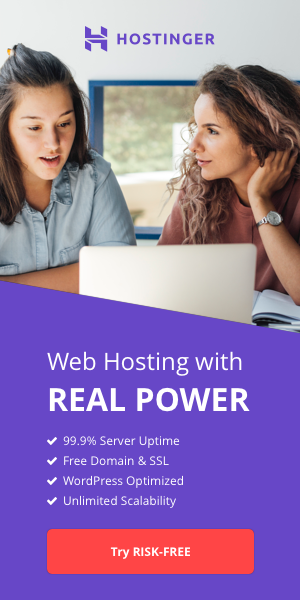 The Professional Hosting 2500 plan from 34SP.com offers the following specs: 25 GB of storage and 100 GB of bandwidth for just $13.95 per month. This plan also includes: free SMTP, free virus and spam detection, free weekly backups, free script installers, and shell access. So on the specs and pricing alone, shared hosting wins the day handily. As far as the ‘instant on-off’ and ’scalability’ offered by the Cloud, these may indeed by worth the extra marginal costs for users that need these features, but for the hundreds of thousands of WordPress bloggers and shared websites, they probably won’t offset the difference in costs. Additionally, in order to manage a Cloud or VPS hosting account, one needs a deeper set of development skills to manage the server. So my verdict, based on this research, is that shared hosting has a ways to go before being obsoleted. Perhaps, though, Mr. Sayegh will prefer to differ.